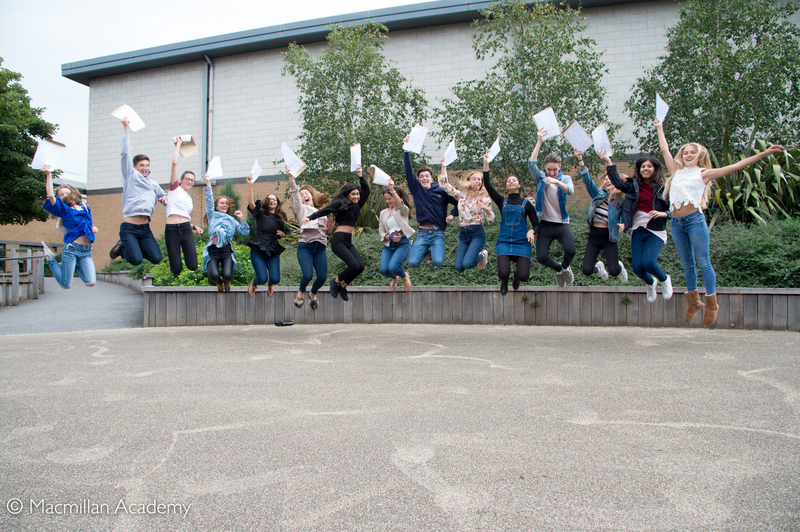 Macmillan Academy�s Year 11 students were celebrating opening their GCSE results this morning. 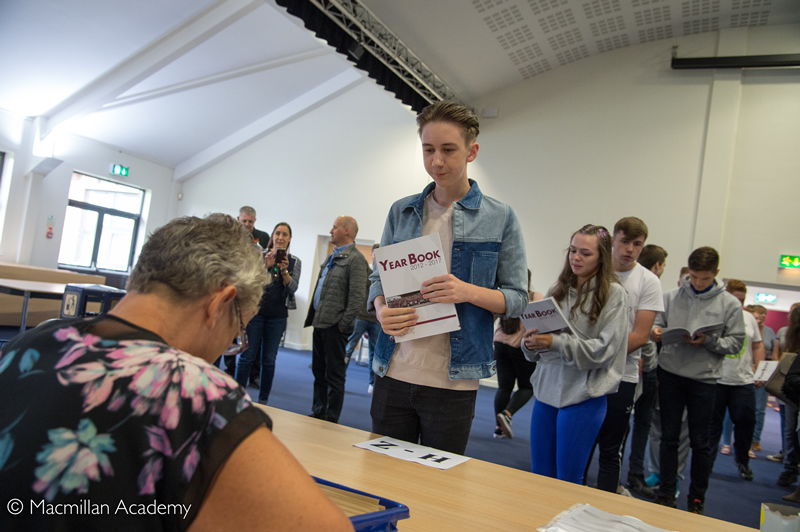 78% of the students achieved a grade 4 or above in the newly reformed GCSE maths and English courses � an improvement of 6% on the previous year. 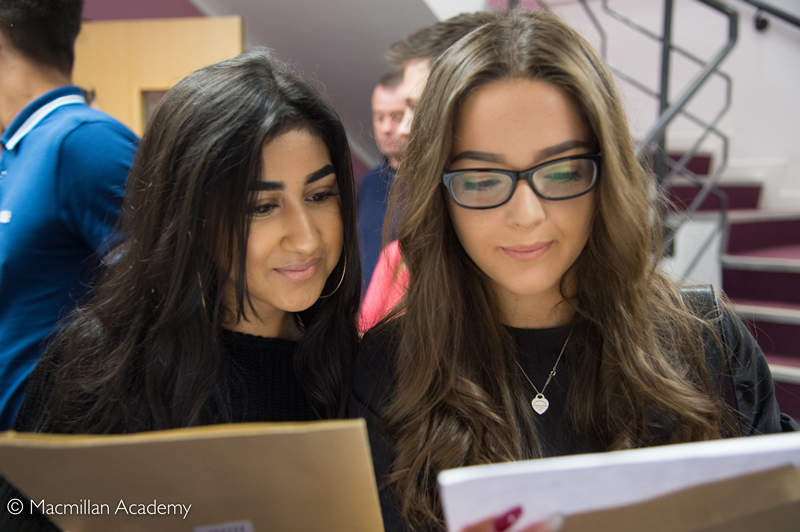 56% of students achieved a grade 5 or above in both subjects. 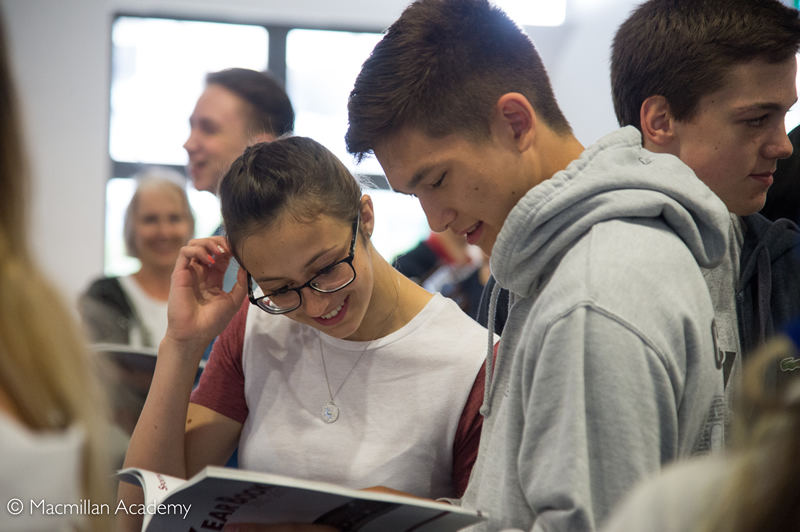 For the first time, grade 9s were awarded to approximately 3% of students in the country. 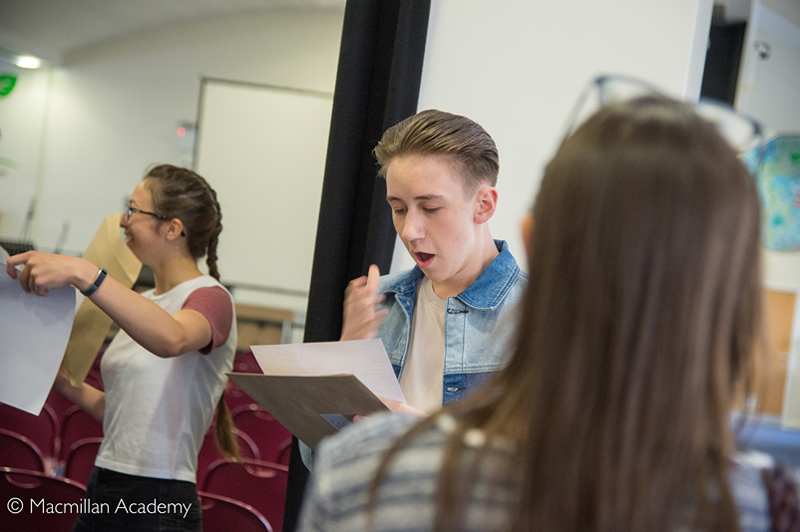 We are very pleased that there were 18 grade 9s from the academy. 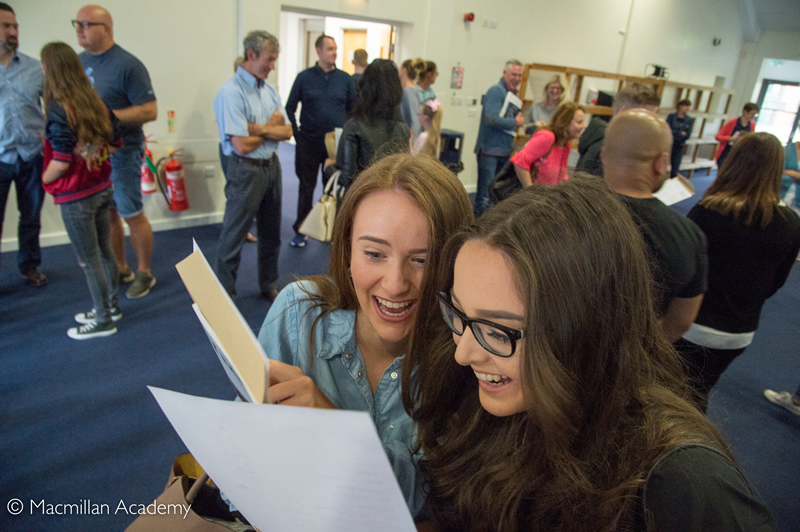 Evie Miller who achieved a grade 9 in both maths and English along with a grade 8, five A* grades and two A grades. 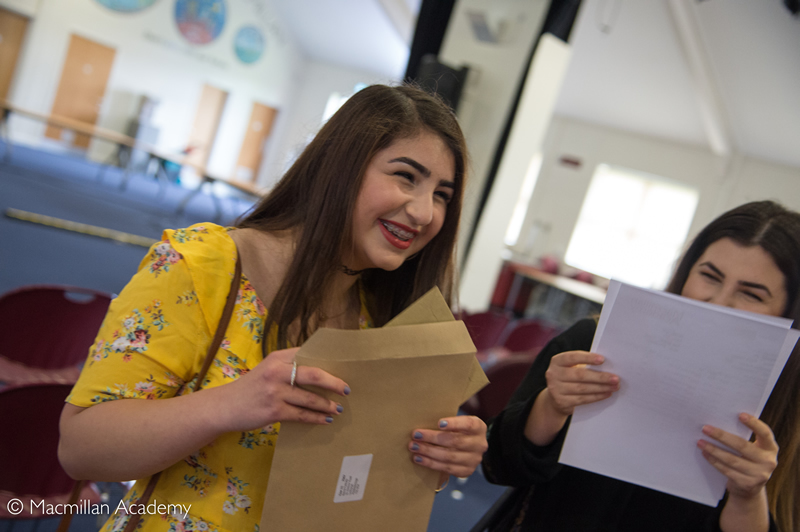 Sannah Mahmood who achieved two grade 9s, six A* grades, one grade 8 and one grade A.
Aleena Jose achieved one grade 9, six A* grades, one grade 8, one grade 7 and an A grade. 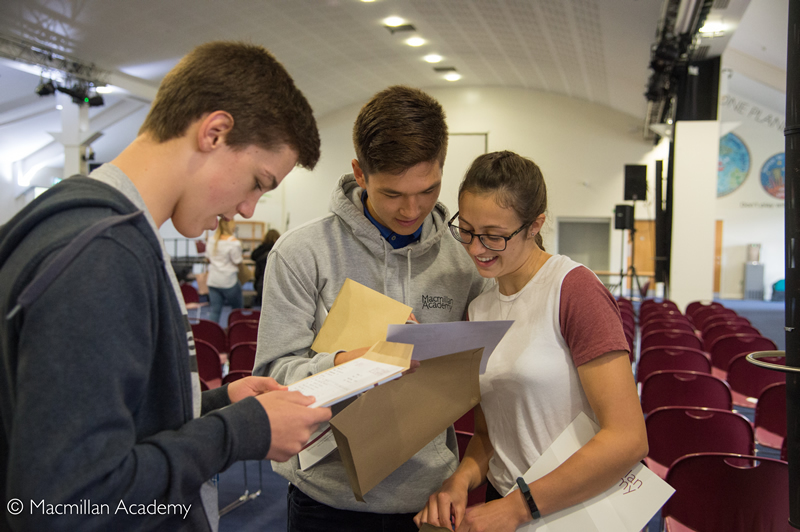 Erin Johnson-Caddell achieved two grade 9s, one grade 8, two A* grades, two A and two B grades. 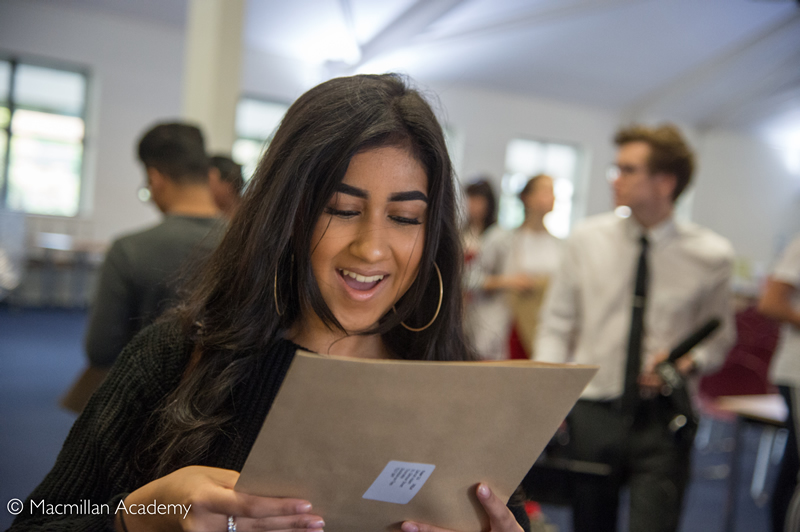 Humna Sharif achieved two grade 8s, four A* grades and three grade As. 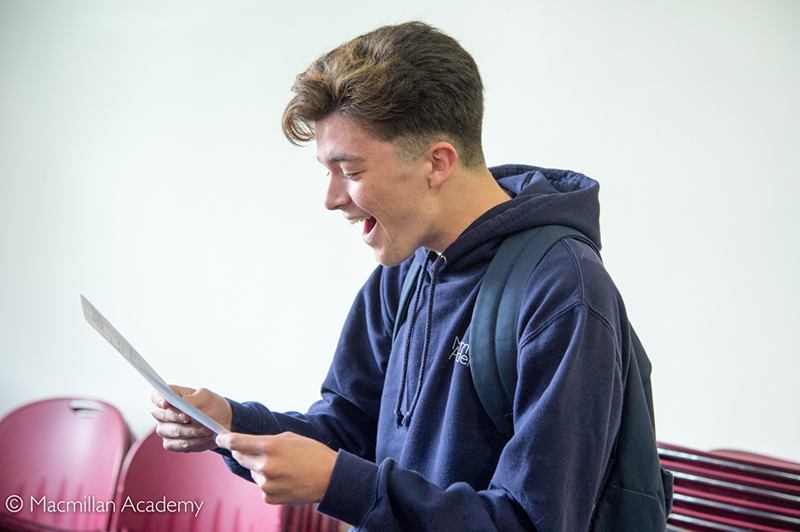 Alex Nixon achieved one grade 9, four A* grades, one grade 7 and three A grades. 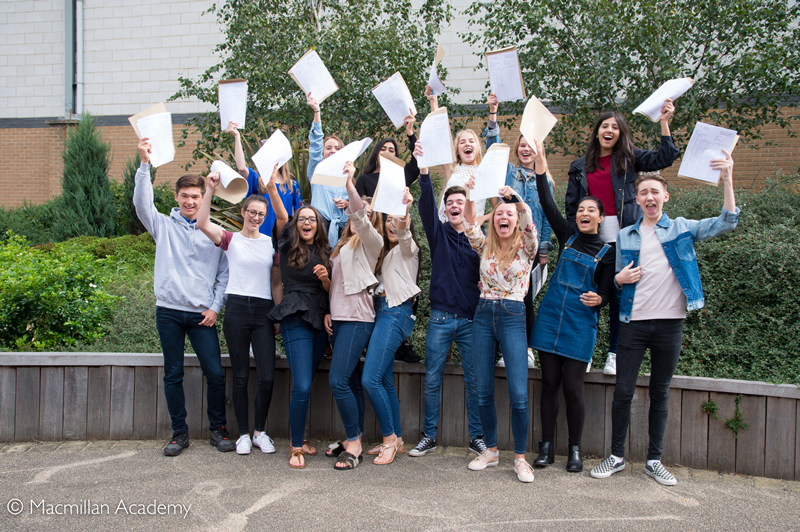 Principal Phil Latham said, "We are delighted that our Year 11 students� hard work has paid off. 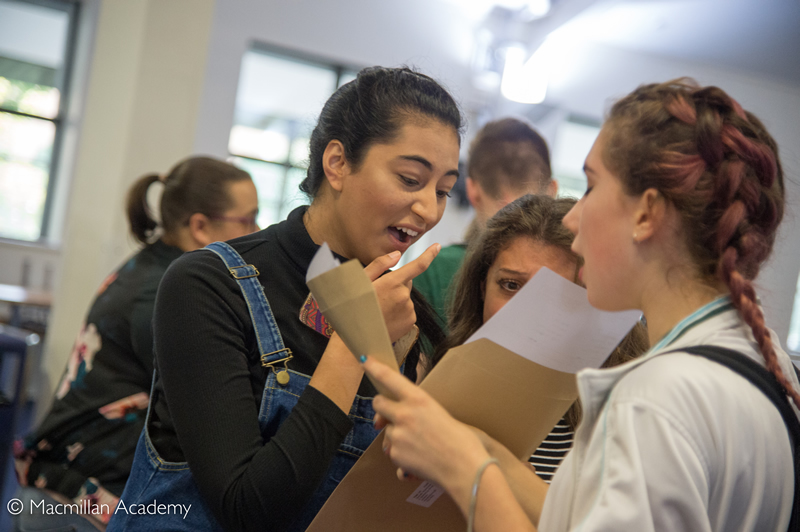 Students have risen to the challenge of the new, tougher GCSEs and I am very proud of their achievements."